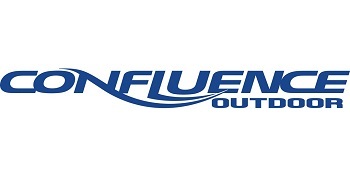 The company will be re-named Confluence Outdoor and will continue in its commitment to the watersports market. GREENVILLE, S.C. (April 22, 2014) – Confluence Watersports, parent company to eight market-leading paddlesports brands, today announced that it has been acquired by J.H. Whitney Capital Partners, LLC (“J.H.Whitney”), a private equity firm based out of New Canaan, Conn. The company will be re-named Confluence Outdoor and will continue in its commitment to the watersports market, with an expanded vision to grow the business into a full-service outdoor recreation company. The company’s operations and facilities – including manufacturing, design and engineering, research and development, customer service, sales and marketing teams – will remain in its current Greenville, S.C., location. Confluence Outdoor will continue to invest and play an active leadership role in paddlesports and the outdoor recreation industry. For more information on Confluence Outdoor, please visit www.confluenceoutdoor.com. Please direct all media inquiries to Claire Rabun (crabun@verdepr.com) of Verde Brand Communications: 970.259.3555, ext. 135. Please direct all other inquiries to Cheri McKenzie, Chief Marketing Officer, Confluence Outdoor: cheri.mckenzie@kayaker.com. Confluence Outdoor is the result of the blending of eight unique watersports brands: Wilderness Systems®, Perception®, Dagger®, and Wave Sport® kayaks, Mad River Canoe®, Adventure Technology® paddles, Bomber Gear and Harmony® accessories. With a full representation of canoes, kayaks, and paddling apparel and accessories, ranging from touring and recreational to high-performance whitewater products, the Confluence brands are well suited to fully outfit paddling enthusiasts throughout all phases of their paddling life. For more information about the company, please visitwww.confluenceoutdoor.com. About J.H. Whitney & Co.
J.H. Whitney, established in 1946, was one of the first U.S. private equity firms pioneering the development of the private equity industry. Today, J.H. Whitney remains privately owned and its main activity is to provide private equity capital for small and middle market companies. J.H. Whitney is currently investing its seventh private equity fund, J.H. Whitney VII, L.P., for major endowments, foundations, pension plans, and high net-worth families. Investment activities are focused on small and middle market buyouts of market leading companies that are poised for growth in a number of industries including consumer products and retail, healthcare services, specialty manufacturing and business services.